Plus, the U.K. rolls out new IoT security guidelines, rivals Cloudera and Hortonworks set to merge; and more news. Siemens and Bentley Systems revealed their PlantSight digital twin software, which synchronizes with both physical reality and engineering data, according to a press release. “This joint solution based on the complementary know-how of Bentley and Siemens represents a key step towards making digital twins even more efficient and creating a digitally integrated value chain, which offers even greater consistency,” Klaus Helmrich, member of the management board of Siemens AG, said in a press release. The U.K. government published voluntary guidelines for securing IoT devices, rolling out its “Code of Practice for Consumer IoT Security.” Among the guidelines, aimed at device manufacturers, IoT service providers, mobile application developers and retailers, are a call for no default passwords, for companies to implement a vulnerability disclosure policy and to push regular software updates and minimize attack surfaces. 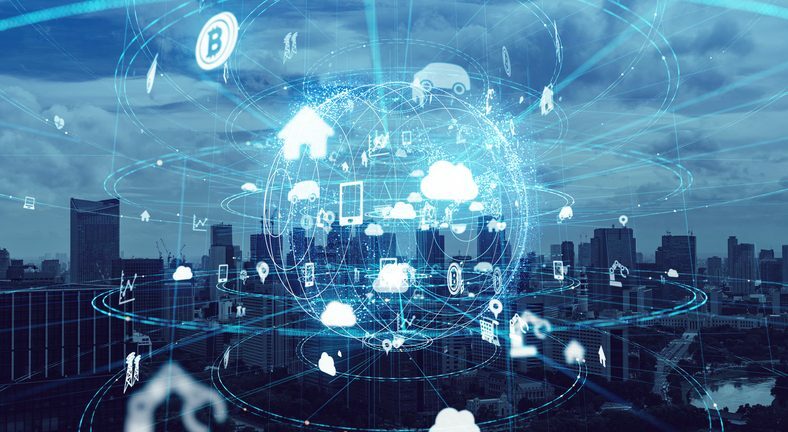 IoT Projects Mature, Leaders Looking Toward ROI, According to Fujitsu Survey Business and IT leaders now expect tangible results from their projects in three years or less, according to a new Fujitsu survey. Some three-quarters of the respondents said their IoT deployments moved “well beyond” the testing and market education stages with almost half of these delivering results, according to the press release. The research was conducted by IDG Connect in the summer of 2018. Researchers surveyed 330 business and technology leaders from organizations with more than 250 employees in France, Germany, Spain, Portugal, Norway, Sweden, Denmark, Finland, India, Belgium, the Netherlands, the United Arab Emirates, the United Kingdom and Ireland. Although not ubiquitous at this year’s Dreamforce event, IoT technology was a prominent theme. Here are seven examples spotted at the show. The telecom company’s Plano, Texas–based foundry contains a mixture of high-tech gadgetry and everyday IoT-enabled items such as refrigerators, pallets, retail shelves and even a portable toilet that knows when it needs cleaning.